Energy Saving with Good Health. 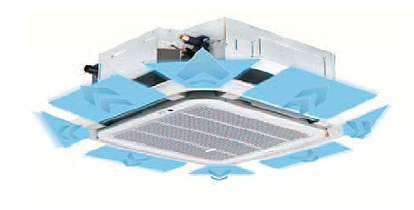 Adopts compact design, easy installation by taking off ceiling panel of 850 mm x 850 mm size. 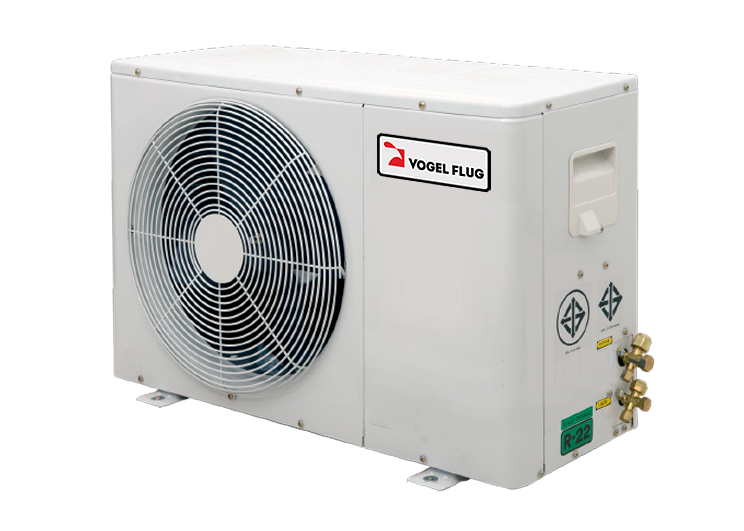 Standard built-in drain pumps with head height up to 700 mm, creating a ideal solution for water drainage. Differential swing angles to ensure comfortable feeling in anytime and anywhere. Four Detachable grille corners enable easy adjustment of hanger positions after installation. 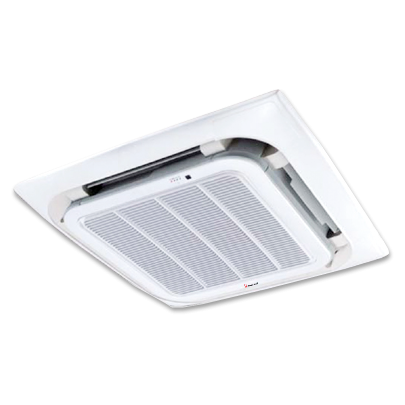 The air intake grill can be easily disassembled by just push-open action, and can be still attached to the unit by 90 degree rotate angle, designed for easy maintenance and filter cleaning. 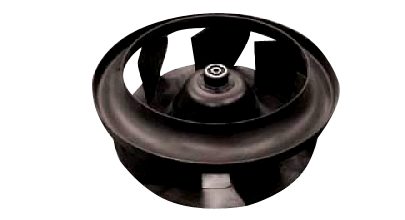 Adopting of advanced 3D centrifugal fan, the units can run more quietly. Gold fin coated with Titanium. Higher efficiency, easily drain out water droplets, reduce smelly odor, reduce mold, save energy, reduce noise and more durable than normal aliminium fins. Normal aluminium fins collect dust between fin gaps, suitable for mold to grow, difficult to clean, prone to corrosion, high maintenance cost. 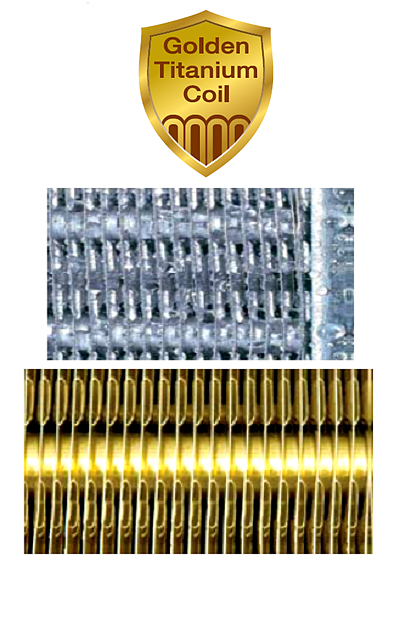 Golden titanium fins air flow through easily, no droplet at the fin surface, lower moisture, not suitable for mold to live, more durable than normal fins higher energy saving. Casing made from high-quality sheet metal, coated with anti-oxidation white color. 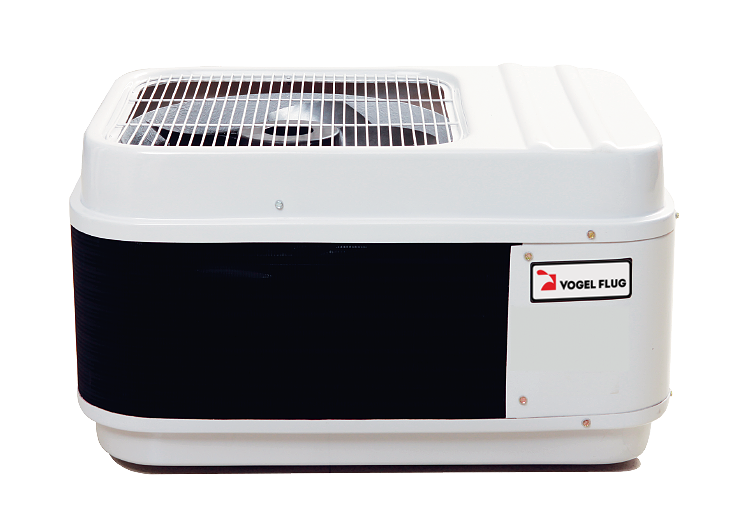 Durable with great heat rejection performance from advanced aerodynamic fan design. 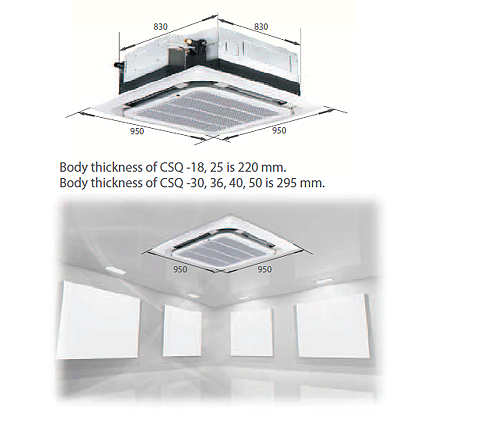 Compact size for east installation in small spaces. Casing made from fiberglass, corrosion free. 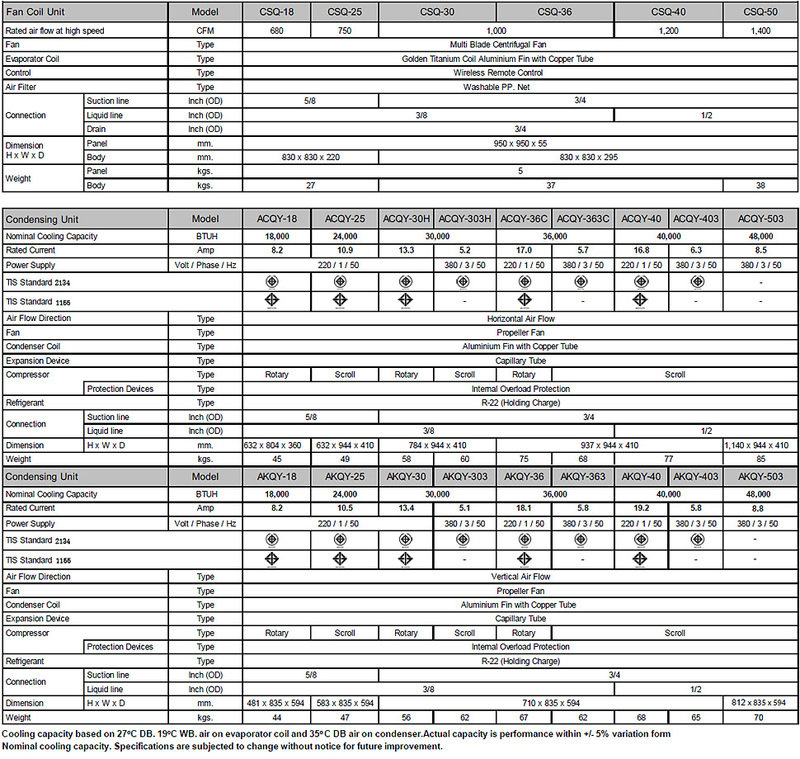 Suitable for durable use especially for season or acidic environment. Copper fin and green guard coated fin are option for choose.